There are many techniques and options to treat teeth that are discoloured, chipped, misshapen or missing. Cosmetic dentists can straighten, lighten, reshape and repair your teeth, close spaces, restore worn or short teeth or alter the length of your teeth. Common procedures include veneers, Zirconium crowns, bridges and tooth-coloured fillings. 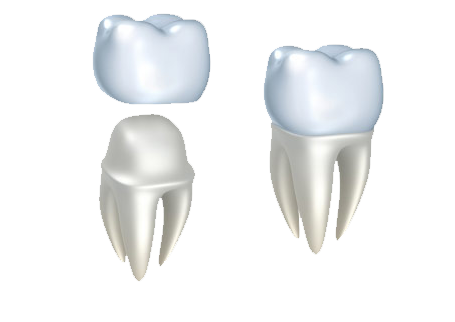 Crowns are used when the tooth can not be preserved any more by using fillings due to too much destruction. The tooth in question is prepared then an impression (or mould) is taken of the damaged tooth. A temporary crown is usually placed on the tooth so the patient can carry on with life until the permanent crown is ready. 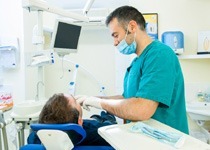 The impression is sent away to a dental laboratory where the permanent crown is created. The materials used are usually porcelain, gold, porcelain-fused-to-metal or zirconium, according to the suitability for the job. This crown will then replace the missing tooth structure. The patient can return to the dental surgery a week or two later and the newly made permanent crown is fitted and cemented in place. Bridges are used to replace missing teeth. This is a permanent solution and only your dentist can remove it. The neighbouring teeth become crowned and serve as "bridge pillars". The gaps can be filled by placing the bridge elements between the neighbouring teeth. The materials listed above under "Crowns" are used here, too. Usually they last at least 10-15 years. Bridges are alternative and more affordable options for implants. Veneers were originally invented by a Californian dentist to temporarily change the appearance of actors' teeth. But, because they were affixed by denture adhesive, which at that time was not as well developed as nowadays, they tended to fall off within a short time. Therefore, their use in private dentistry was not widespread. Today, with improved cements and bonding agents, veneers typically last anywhere from 10-30 years, depending on the lifestyle and oral hygiene of the patient. They may have to be replaced during this time. The cost of veneers can vary depending on the dentist's experience and where you have the work done. Porcelain veneers are said to be somewhat more durable and less likely to stain than veneers made of composite material. Inlays are very durable fillings that are hand-crafted in the dental laboratory. 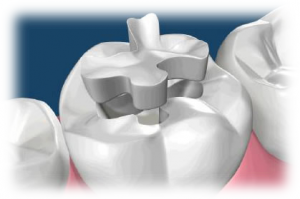 Depending on the patient's preferences, inlays are made from gold, ceramic or zirconium. This guarantees a long lasting, aesthetic, strong and loadable filling.